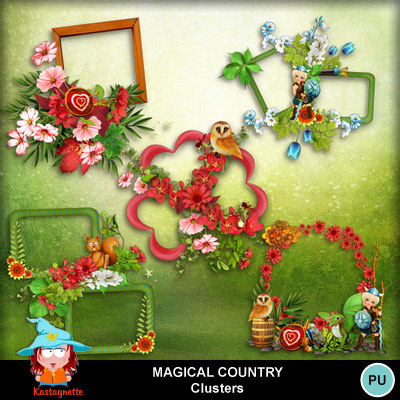 Description : 5 Clusters realised with the kit Magical Country Informations about this product : Clusters are saved as ,png files at 300 DPI. TOU : This product is reserved for a personnal use. Think or consulting the TOU.